WHY EXTRA DUTY? 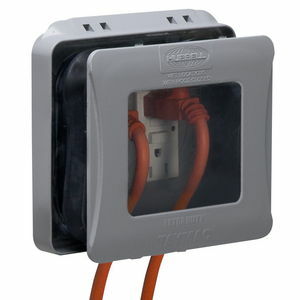 The 2014 National Electrical Code required 15 and 20 ampere, 125 and 250 volt installed in wet locations shall have an enclosure that is weatherproof whether or not the attachment plug cap is inserted. TayMac does their own set of testing before it goes to UL for their rigorous testing. We perform cycle testing, accelerated aging and material uniformity testing, weatherproof rain and sprinkler testing, cold-impact testing, and hinge testing to name a few. 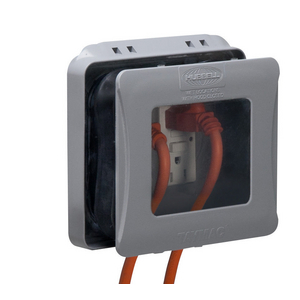 All of our EXTRA DUTY products have met the UL 514D test requirement set by the National Electric Code.